Comfort is the main obstacle to Education Reform. Upon first stating this, it seems to be a ridiculous statement, so I guess I need to elaborate. This is a subject I discuss with my pre-service teachers at almost every seminar class and teaching observation. Of course it doesn’t have a great effect on my students, because of the arrogance of youth. They all know better than I. If we ask,” Why aren’t educators engaging more forcefully in reform?” the answer is always the same. Educators are not comfortable with change. When we ask about educators using Tech as a tool for learning, the answer is that educators are not yet comfortable with technology (even though it has been around since the 80’s). I guess time does not create comfort. When we ask why haven’t more educators adopted a teaching method for project-based learning, or problem-solving methods, or authentic learning, or a focus on critical thinking skills, or Electronic portfolios to replace grades? Obvious answer: Educators are not yet comfortable with these subjects. Working with student teachers I have noted one problem that overtakes some student teachers. Starting out, they have a tendency to fall back on what they are most familiar with from their most recent learning experience. They are familiar, or comfortable, with the lecture method of college professors and occasionally student teachers believe that college lectures will work with the students. . It only stands to reason that, if it worked for them as a student, it should work for their students as well. The problem is that they are working with secondary students not highly motivated college kids who have already mastered what the education system had to offer. Here comes my theory on why so many educators don’t get it. As I often tell my students, they are in a small percentage of people who understand and succeed in the education system. The fact that they made it to college puts them in a very small percentage of all people who complete a secondary education. With every additional year that they complete college commitments, they climb further up the ladder of the educational elite. They are comfortable with the system, as it is, because they have been successful in that system. They represent maybe the top ten percent of the country. Their comfort with the system has assured their success. Their success reassures their comfort. The problem they will face as educators, however, is that they will be working with 90% of kids who are not as comfortable with the education system the way that their teacher is comfortable with it. This also holds true for teachers of generations before. It is not a generational thing however, it is a learning thing. For some, their comfort level may rest in the era in which they went to school. It was most likely an era when Technology was not incorporated into curriculum. It certainly was an era where there was little done with the internet, or social learning. It was a time when there was no WEB 2.0 tools enabling creativity at no cost, and could be accessed at anytime, and anyplace. It was a time of lecture as opposed to project based learning. Direct instruction was king and creation of content was best exemplified in the research paper. Grades ruled and electronic portfolios were a theory. This is what too many educators were comfortable with, because it is what made them successful academically. The attitude making all this possible is,”If it was good enough for me, it is good enough for my students.”This, to me, is what is meant by “the teacher’s comfort level”. Everyone supports reform, but few support change that may be too uncomfortable. I am not saying that teachers are bad. I am a teacher who supports teachers. I am saying that the comfort level obstacle to reform must be overcome. We need to lead people from their comfort zones and get them comfortable with new tools and new methods that will make a difference in education. They need to be led to new comfort zones. There are so many things that need to be changed it is difficult to pick a starting point. The biggest obstacle however, is change itself. Until the status quo is made more uncomfortable than reform there may be no reform. We need to focus on Professional Development and providing teachers with what they need to affect reform. That will take change and change is never comfortable. Great teachers do not come from college classrooms; they are developed on the job. We need to get educators comfortable with a new model for teaching and learning. This can only be done with thoughtful and meaningful Professional Development. The educators comfort level, with what was helpful to them in the past, is not what makes 90% of our students comfortable in the present. We are losing a majority of our kids who are uncomfortable with a system that they do not find relevant. We can’t let the comfort of educators outweigh the discomfort that a majority of our students feel every day with our education system. Let’s talk about prejudice in education. I am not talking about race, religion, or sexual preference prejudice. I am going to discuss a prejudice that I believe is prevalent throughout our educational system. Of course it will be denied by most educators, but that is a tell-tale symptom of prejudice. Most people will not admit to it. They may recognize it in others, but they will never admit their own engagement in this biased philosophy. I have no idea where this prejudice starts, or how it is driven, but its existence is undeniable. No, not every educator is prejudiced in this regard, but many, too many, are. The prejudice to which I refer is that of grade level. Many educators look to other levels of education attributing expectations or disappointments based on nothing more than unfounded misconceptions and believing it to be truth. Let’s at least state the myths, and misconceptions to get them out in the open. Elementary teachers tell students that what they are doing now is nothing compared to what middle school teachers will demand. Middle school teachers say the same thing to their students, implying that high school will be more demanding. Of course high school teachers defer to the difficult paces that college professors will put students through when they get a hold on them in college. These are all points that teachers often tend to focus on with their students especially toward the end of the year. Now let us examine the blame game based on this prejudice. The big myth is little kids, little problems; big kids, big problems. This implies that secondary is much more difficult than elementary. Many secondary teachers have little appreciation for the job of elementary teachers. They have little understanding of the consecutive hours spent in the classroom focusing on the needs of kids, emotional, as well as educational. Secondary teachers tend to think in 42 minute periods, five classes a day, with little understanding for a one-class, all-day-long environment. Of course, the view from the high school is that Middle School teachers have a much easier job than the elite High school positions. High school positions are of course the crown jewel of jobs in education. Of course many secondary educators tell students, “wait until you deal with professors in college”. Most educators hold Higher Education as the holy grail of education. They also hold Higher Ed accountable for not turning out super teachers to lead us out of the forest. What many educators fail to understand is that Higher Ed teachers are really content experts. They are experts of their subjects, but not experts on education. The greatest problem with new teachers is their tendency to teach, as they recently learned from college teachers, relying on the lecture model. Elementary and Secondary teachers need to do more than lecture. High school teachers have a difficult job, because of what the middle school teachers failed to do. The Middle school teachers have a difficult job, because of what the elementary teachers failed to do. The elementary teachers have to deal with whatever the parents give them to deal with. This may be a cynical attitude, but it is not far from the truth from the attitudes of many educators. It is something which needs to be addressed. Educators need to view themselves as a part of a complete education of a child in partnership with parents. Too often teachers teach “Their subject” and not kids. It is this fiefdom mentality that is one of the things that gets in the way of learning. Some teachers play the blame game to deflect responsibility for not adequately addressing the learning needs of students. This post of course was not directed to you. It was for all those other educators out there. I recognize the fact that many teachers have to deal with impressions previous teachers have made on students. At the beginning of every school year I would give a writing assignment. With that one assignment I could identify who the previous English teacher was. If the topic or introductory sentence started out a certain way I could identify the teacher. “In this paragraph I will describe…” was an indication as to who taught writing to that student. It took a number of conferences with the teacher involved, but eventually the problem was resolved. The teacher retired, but that is not the point. I reached out to discuss the implications of what was being taught in a previous grade affecting what came next. That was not a prejudiced judgment. It was a real teaching impediment that I attempted to deal with. We need to discuss more about what we expect and what we need from teachers of other grade levels. It would also be great if we could all spend a day in the shoes of an educator on another grade level. We need to understand where our students came from in order to take them forward. We cannot be drawn into this teacher against teacher battle that is being stoked by politicians. Sharing and collaborating amongst educators is much more positive than the alternatives. Those who close themselves off and engage in empire building hurt all educators. We need to consider the whole picture in education for our students. We need to be educators first and not grade level labeled. We need to enter kid’s lives as a team, not have kids meet us as separate entities. I know this is the ideal, but shooting for higher goals beats where we many view us today. Again, this post was not directed at you but all those other educators who fall into this description. There seems to be a thirst on the part of some educators for Twitter tactics and strategies. It seems that the more I write about this subject, the more I get requests for additional posts. I take this as a good sign and an indication that Social Media may be gaining traction with educators. I see Twitter as an excellent source for gaining an understanding of what one needs to know. I feel that when we talk about Twitter as a great source for Professional Development, that is somewhat misleading. Twitter does not provide the development, but it does offer a direction to sources for that development. It provides educators with the knowledge to ask the right questions. It steers people to the best sources to learn the answers to their questions. More basically it enlightens educators as to what they should be asking. Twitter enables those who don’t know what they don’t know, to have a direction for seeking enlightenment. One of the benefits of this type of learning is that it can be quite specific. In the past many PD workshops addressed the bells and whistles of software applications and the general use of an application. It often failed to address the specific needs of teachers in specific subject areas. IT folks know computers and applications. Teachers know learning needs. Through the use of Twitter, a Social Studies teacher can ask other SS teachers from around the world, what timeline applications were found to be the most successful. They can even ask how it was used and get specific real classroom examples and plans from those who achieved success. Before Twitter teachers were limited to interacting with teachers they knew in their building or district. Now, they are limited to whatever range they have with Twitter. With the proper strategies, that can create a huge jump in numbers of opinions and a bigger step toward relevance for the teacher. That is the “Why” of Twitter, and now for the “How”. Once you have put the process for “following” educators on Twitter in place, you need to begin Tweeting. The process, for most, as beginning users, is similar. At first people will lurk. That means they will watch and try to figure out what is going on. Lurking and learning is a standard way of learning through Social Media. As a passive observer much can be learned. There does come a time for everyone however that they need to engage for a clarification. There might be a time when, as educators often do, a stand on some issue must be taken. Whatever the initial reason for interaction, the learning process will increase significantly as the educator engages other educators. The obvious beginning here is to state that a tweet is a thought or piece of information that a person (Tweeter) sends out to followers. It often contains a link to a greater-sized piece of information or video. If there are only five people following, that is not much of an audience. If a tweet with information is of interest, or found to be of importance by one of the five followers, that follower may Re-tweet it. That would be sending that same tweet to his or her followers. This is an RT. That will tell a person’s followers that she, or he, tweeted out this specific information from another source. The original tweeter gets credit for that information and the re-tweeter gets credit for finding and sharing the tweet. Everyone is a hero. If the re-tweeter also has a following of five people you are not much of a hero. If however, that person has 10,000 followers, you become an educator Rock Star. As those 10,000 see your re-tweet, many will choose to follow you directly. That makes the idea of following people with large followings a great idea. It brings to mind an old TV shampoo commercial that said, “If you tell two friends, and they tell two friends, and they tell two friends… “.You get the picture! It is important to note that you should not change, add or otherwise edit someone’s Tweet. You may comment on it, but DO NOT put your own personal spin on someone else’s Tweet. You can add comments before the RT appears. 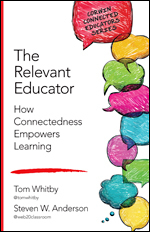 (@tomwhitby I Love this comment.>> RT @twittername Fridays are known for #FF, pizza, and Wine #Edchat) Keep in mind that RT’s are still limited to 140 characters. When an RT is created it includes the original Tweeter’s name as part of the 140 characters. This is important for two reasons. If you have a tweet that you want to be intentionally Re-tweeted keep it under 120 characters. This allows for the Re-Tweeters header. If you are Rt-ing a tweet, you may need to edit it down. The first thing to do is eliminate the hashtags. The original tweet already covered them. If you need more try abbreviating words. Keep the intent of the tweet intact. If all else fails and you cannot reduce it enough, go to the link and make an original Tweet based on your opinion. Another important Re-Tweet personal policy is to RT a fellow educator’s appeal for help. If an educator is making a request and only has a few followers, that call may go unanswered. If we all RT that call, we increase the range of that tweet, so the tweeter should get substantial results from the request. Before I RT those types of tweets, I always preface it with “REPLY TO>>”. (REPLY TO>>@twittername Does anyone have data on learning w/mobile devices? )This in theory gets the response to the original tweeter and not me. This is a great theory that occasionally works. Unfortunately, I am often included in the replies. I guess I am the only one familiar with my theory. Re-Tweeting is an important part of Twitter. It can be used in your favor to increase your following. It is also part of the learning process on Twitter. It should never be a stopping point in the Twitter experience as a tool for professional development. The best learning in social media involves engagement with others. That is what makes it social media. Your learning will increase with your further direct engagements. Another Post I did on the dark side of Re-Tweets is Twitter’s Achilles Heel. This can be a confusing topic to explain which is why there is such a need. Please feel free to comment. 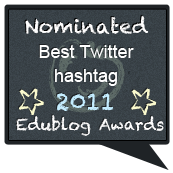 You may also join the Educator’s PLN for Twitter tutorials and twitter lists. Whenever it comes to writing about Twitter in a blog post, I never know how basic to go in my descriptions. I guess I must assume that there will be many people who have no idea about Twitter. I can also be confident that many other readers are capable of writing a similar post with better strategies. The problem with Twitter is that it is confusing to explain, difficult to understand, and only learned when one begins to use it regularly. My use for twitter, although it can be very social, is for the purpose of personal development. If I was a boat builder, I would follow other boat builders, but since I am an educator, I will focus my following to other educators. 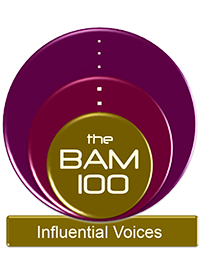 The goal is to assemble a list of people who are not only knowledgeable about education and learning, but have a sharing and collaborative philosophy. One of the first things I do, when I am considering someone to follow, is to check his, or her Twitter Profile. I limit myself to following educators, because I gear my Twitter account for professional learning. Many people have second Twitter accounts for friends and relatives. Once I access a person’s Profile I can verify that he or she is an educator and I can see the most recent tweets. The tweets will give an indication of the person’s collaboration. If there is no profile filled out, I usually do not follow that person. Another important thing to check is whom they follow. That makes the profile a source for other educators to follow. Individuals can be found under the “Following” header on the profile page. In addition Twitter lists may be found on a person’s profile. They are special lists that Tweeters make up for specific groupings of people that they follow. Examples might be: Music teachers, Pre-service teachers, Administrators. 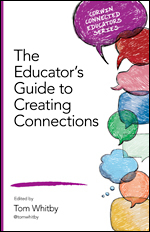 These lists can be accessed and you will have more educators to follow. Hashtags (#) are another source for follows. Tuesday is known as Teacher Tuesday on Twitter. On Tuesdays people will tweet out recommendations of teachers to follow on Twitter. Each of these recommendations will contain the hashtag #TT or #tt or #Teachetuesday. You may follow by clicking on the name in the tweet and the profile will pop up. The other way to do it would be to do a search for #TT, #tt, or #Teachertuesday. At that point all of the tweets from all tweeters will pop up. Most conferences or events carry their own hashtags. If you are following a tech conference hashtag the chances are good that the tweeters using them are educators attending the conference. The best hashtag to vet and gather follows is #Edchat. 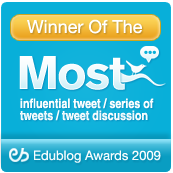 That hashtag is used by educators during weekly chats as well as by many educators to extend the range of their educational Tweets. Twitter has another day of hashtag recommendations on Friday; #FF, #ff, #followfriday. The difference between Friday and Tuesday is that Friday is recommendations of great Tweeters, and Tuesdays are recommendation of great Educator Tweeters. Anyone can make up a hashtag. I made up a hashtag for people to make recommendations for books. I asked people to recommend one educational book that made a difference to them. I asked them to use the hashtag #Edubk. It served multiple purposes. I could do a search for #Edubk and have a list of books read and recommended by educators. I could follow any of those tweeters whose recommendation rang true. I also expanded the number of people to access by the number of Retweets generated. 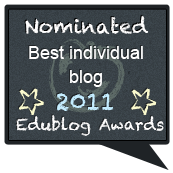 Reading Blogs gives the best insight into who educators really are a good indication of whom to follow. Many bloggers use Twitter to drive people to their blogs. The obvious thing to do is to follow those bloggers who offer opinions of value. The extension of that source is to mine the comment page. 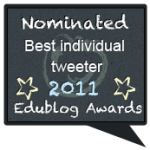 Educators who feel opinionated enough to leave a comment will often have their twitter names available. Their comments offer insights to their philosophy. Another good method is to tweet out thought-provoking questions. Take note of those who engage in response. I use many Social Media applications to complete my network of educators who help me in learning about education every day. Twitter is first in that bank of tools. I am an avid user and that is what makes writing this post most difficult. I fully understand how Twitter works. I also am very aware that explaining it is overwhelming for those not familiar with Twitter. Twitter is best learned as it is used. I only hope I haven’t confused more than clarified some strategies to develop a valuable Personal Learning Network. I am very frustrated after attending a huge professional development conference for educators this past weekend in New York City. The conference was sponsored by WNET and The National Education Association among others. It was called the Celebration of Teaching and Learning. The event was held at the New York Hilton Hotel, and was a sprawling extravaganza of technological sights and sounds covering three floors. There were signs, banners, booths, and even a live alligator amongst the beeps, blips and colors of computer driven screens everywhere. There were Vendors galore on the exhibitors’ floors. The booths numbered over a thousand and represented most of the players in the field of Educational Technology. In full disclosure, I was a guest of my wife’s company Vizzle, a visual learning and networking application for teachers of children with Autism. There were thousands of attendees walking through the exhibitor’s halls, as well as attending the many workshops being offered throughout the day. I have been involved with planning educational conferences for years. I know what it takes to plan a successful conference. This was a well planned and wonderful conference. Yes, there is a big “BUT” coming up, but not yet. I am quite involved with educators through Social Media on a daily basis. I own or participate in many educational groups online. I manage #Edchat and The Educator’s PLN. I have been a teacher from the elementary level to Higher Ed since 1971.I was also an active participant and leader in a teacher’s union for over 30 years. All of this gives me a somewhat unique perspective when I attend educational conferences. In today’s climate teachers, and what they do, are under attack from many fronts. Many educators I come in contact with are reflecting on what they do. The reform movement which is paid lip service by most is being taken seriously by many educators. They are reflecting on what they do and how they do it in order to make it better. Educators are struggling, as are many others, to understand what is important in education. The only thing we can all agree on is that Education, as it is today, is not meeting the needs of the people paying for it. Since everybody pays for it, everyone wants a say in how to fix it. With all that is involved, it seems the people with the most power (money) have the biggest say. That limits the ability of educators to affect a change in the area in which they have the most expertise. They certainly have more expertise than those who are now the loudest voices for change. Now, back to the Conference! I did not attend the workshops, but I have no doubt about the superior quality of the content or the presenters. 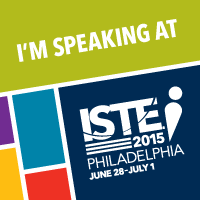 I do have a problem with the lack of topics dealing with issues educators talk about through Social Media. I looked for Social Media specific presentations, banning, filtering, blogging, Social networking, or PLNs. I was more than disappointed. There were many teacher union topics which addressed the effects of reform from a labor point of view. These were much needed. Teachers need more preparation on how to stand up and protect themselves against attacks without merit. As an aside, I saw very little, if any, Back Channeling from the workshops or keynote speeches. The attendees at this conference were not social media savvy. There was very little tweeting for a conference of this size. Most of the tweets coming from the conference were from Vendors. They get it! Diane Ravitch was also a speaker at this conference. The planners failed to recognize how important her voice is to educators. The room she spoke in was too small for the audience. There were not enough chairs to sit in or space to stand on. Dr. Ravitch spoke for about an hour addressing many of the myths about education that are side tracking real Education Reform. The audience affirmed her speech with applause and cheers. I supported her by standing for the full hour in the back of the room (poor me). The planners videotaped the speech, but never streamed it over the internet, or even said if it would be available in some archive. That says a great deal about their commitment to “Celebrating Technology in Education”. I sometimes think that educators are their own worst enemy. Many educators are doubting themselves and their worth because of the throngs of detractors. Teachers turning on teachers is a strategy to reform labor not education. Playing fast and loose with numbers of charter school results is a strategy to promote privatization. Many want to push public education to the private sector for reasons of profit and not learning. Bill Gate is entitled to his beliefs, but his misguided beliefs are being sold to the public and educators by using huge amounts of money. Influence is being bought. We need not help him in those efforts. We need real educators to step up and stop giving away our power to lead for education reform, a reform for learning and not labor. The term Life Long Learning has been bandied about by educators for years. It is a term that has worked its way into Mission Statements of schools across our nation. It is a term that teachers use with their students. It has become a goal that every teacher strives to put in place for students. It is also a goal that many (not all) teachers, for the most part, do not apply to themselves. I sometimes think that our culture, demanding that teachers be content experts, is a hindrance to education reform. There is an implication that an expert is supposed to know it all. That position may limit a willingness to learn. How can a teacher be the expert, if he/she has more to learn? Even if one was an expert in some content area and at one point knew all that there was to know about a given subject, there is still always more information being developed. With the advancement of technology this is happening faster, and in more volume than ever before. Content experts remained experts longer in the 1800’s. It took years to question their expertise. Change was slow. A teacher’s response to this might be one of disbelief. Teachers may not admit to this in public. However, if we consider teachers’ responses to suggestions of Professional Development, their actions belie their rhetoric. Many are resistant to Professional Development. In fairness, not all PD is worthy of consideration. It is not always well thought out or well presented. However that is not an excuse to resist all PD. The fact of the matter is that it is a big point of contention among many educators. Colleges are being blamed for not producing enough great teachers. Not enough content experts. That is simply ridiculous. Colleges need to educate students in their content area as well as philosophy and methods in education. They are required to make students content experts in their content area and in education in four years. Teachers are born in the college classrooms, but they develop, mature and become great teachers in the schools in which they teach. This only occurs with support and leadership from their educational leaders. It requires continuous learning over the lifetime of a career. It requires teachers and their leaders to be Life Long Learners. This all adds to a predicament in which teachers have placed themselves. Senior teachers are being vilified more than any other group of teachers being vilified by the critics of education. They are being portrayed as unwilling to learn or change. They are being pitted against the younger more energetic teachers who appear willing to learn and change. The senior teachers are victims of the culture of education. They are the experts as they were expected to be. They believe this themselves. They have attained their lifelong goal, therefore, they believe that there is no need to learn any more, or to change the “tried and true”. They have achieved expertise status as required by the system. Whenever I bring up the topic of Blogs within a gathering of educators, the comments in response usually include the teacher who lost her job because of blogging. If you are not familiar with the story, it is one of stupidity, disrespect and irresponsibility. It had little to do with blogging. A teacher decided to start a blog and trash her students, parents and her school. It was the content of her comments that was offensive and not the fact that she used a blog post to do it. If she wrote a newspaper article, did a radio, or television interview, or stood on a soapbox on a street corner of her local community, she would still be held accountable for the thoughtless, offensive, and irresponsible comments. It is the intent of the comments which should be condemned, not the media of choice. This incident has served to stall the talks about blogging in the class for the purpose of learning. It gives a great excuse to educators who are reluctant to change a means to delay the ability of students to write authentically in the classroom. I attended a meeting not too long ago where Higher Ed English teachers were sharing with other staff members what they do to teach writing in their classes. They had the floor for about twenty minutes and reviewed much of what they did in the area of writing. The one point that smacked me in the head throughout the entire presentation was that the words “Post” or “Blog” were never ever mentioned. 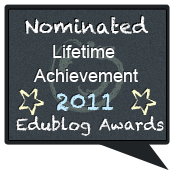 I decided that day to ask English teachers, whenever I met them, if they used blogs to address writing skills. My second question to the same teachers was “Do you Blog?” Many rattled off multiple reasons why blogging can be dangerous before actually admitting “no” to both questions. Many were clear to state that they felt their job would be in jeopardy if they personally blogged. Blogging provides a real reason for kids to write. The realization that an audience of more than one would be reading their work is a real incentive. Comments on the student blogs offers the teacher an opportunity to teach critical thinking, as we as reflective thinking skills. With a global audience syntax and grammar have a purpose that is meaningful to the student. 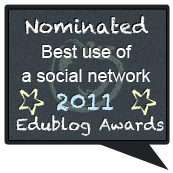 It enables students an appreciation for blogs of others giving insights into commenting on others’ blog posts. There are applications that will allow this to take place in a closed setting for younger children. Class blogs are also a good way to introduce blogging to elementary students. No matter what method is used it is allows students to publish. Publishing on the part of students has long been a dream of many English teachers over the decades. The idea of dealing with publishers or literary agents had always stood in the way. Those obstacles have been removed in the 21st century. There are no longer the dreaded rejection letters of the 20th century. Any student at any age can publish content. How they research, create and communicate that content is the job of the teacher. That is one of the challenges of teaching today. Every idiot has the ability to publish a blog and everyone does. It is today’s educator’s challenge to teach students the skills needed to publish intelligently and responsibly. This does not happen in a week of lessons or a video of a “Ted Talk”. It happens after it has been taught from elementary school, reinforced in Middle school, and set free to bloom in High School. It is a process not a Unit. A key factor in teaching is having the teacher model the skills being taught. In that fact lies the rub. Getting teachers to put themselves out there and blog is the challenge. Too many of our educators believe in “Do as I say, not as I do” teaching philosophy. We need more transparency in education. We can make that happen with more thoughtful and responsible educators blogging to the world. We are in a profession in which everyone claims expertise. Everyone has a common experience of receiving some education so they feel that they have all the answers. I am thinking of Bill Gates and Mike Bloomberg. Blogging by the real professionals can shine a light on our profession and involve teachers in the discussion for reform. I know that, if you want to know where I stand on education and teaching, you need only to read my blog. You will have no doubts. But then again, I believe in blogging as a tool for learning; my learning. Every blogger I come in contact with feels very much the same way. We need to engage more educators and students in this endeavor. Blogging promotes learning. Blogging is another tool for learning. If we do not take the opportunity to teach kids how to publish responsibly with intelligence, we will have more people like that teacher who trashed her kids, parents and colleagues. But, then again, she was never taught about blogging thoughtfully, respectfully, intelligently. We should be encouraging teachers to blog and not threatening their jobs if they do.We should be supporting teachers to engage students in blogging. Your choice is To Blog or not to Blog? That is the question.